Make and Take Home a Zero Waste Craft - ALL AGES! REGISTRATION: Space is limited to 12 participants. Save your spot: RSVP by calling 6478276968, or emailing AnarresHealth AT gmail DOT com or Drop In! Join us at Anarres on Saturdays to make DIY zero waste crafts. 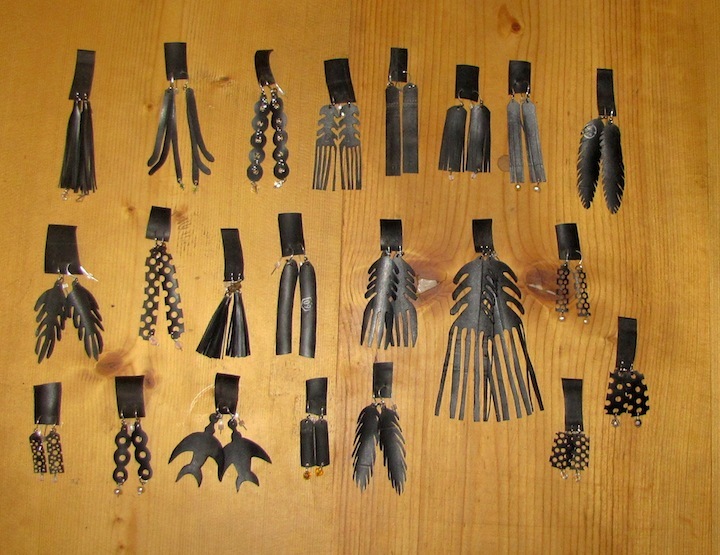 December - Make a pair of earrings from an old bike inner tube. Amanda Breeze, Junior Apprentice is stepping up to hold DIY Skillshares at Anarres Apothecary. "Hi, folks! I'm organizing a monthly PWYC skillshare the third Thursday of every month Anarres Apothecary. Also looking or other folks to host!! It's a Zero-Waste and Plastic-free store so keep that in mind if you are interested or have any fun ideas!